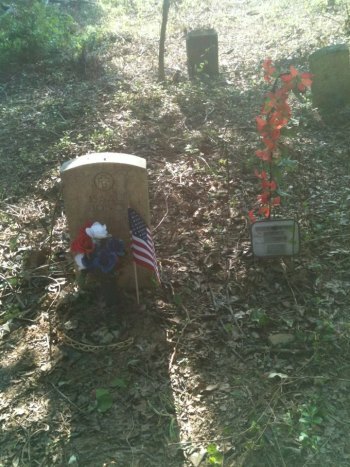 William Booker died as an infantryman in the Spanish American War. Until Martin Shelton chanced upon his grave among overgrown vines and weeds, his sacrifice may have gone unremembered by yet another generation. Brooker is buried in Bethel Cemetery in Huntington. A final resting place of many African American veterans, Bethel is near the Stanford Park subdivision. Martin Shelton learned about the forgotten burial place from his crew leader working a job on the Huntington Sanitary Board. After work, he brought his wife up to the subdivision. As of mid-September, Shelton said that a good portion of Bethel has been cleared. “We are hopeful that the Park Board will take it over. The Senator’s office has been in contact with them." He thinks “if more people would come and look at it” they would be touched both by the condition and the Huntington history up there. The current property owner has expressed an intent to donate the property to an entity that will be responsible for maintenance.